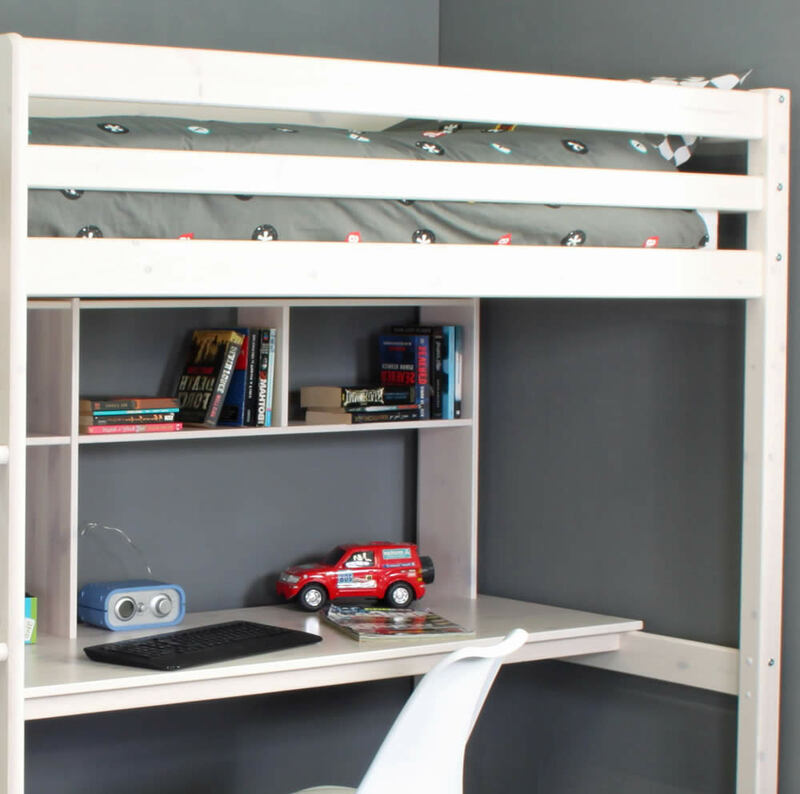 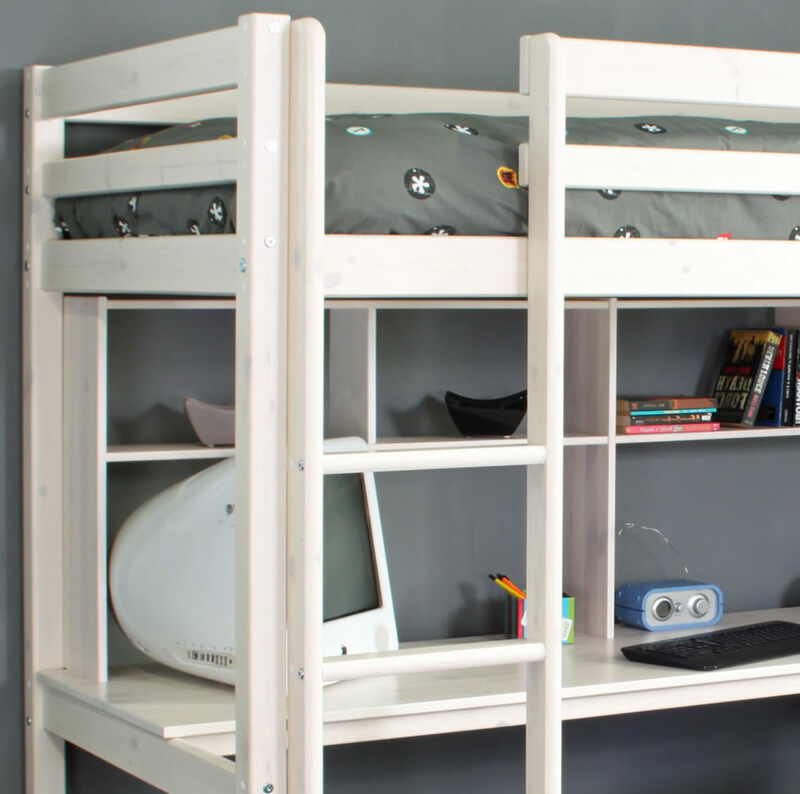 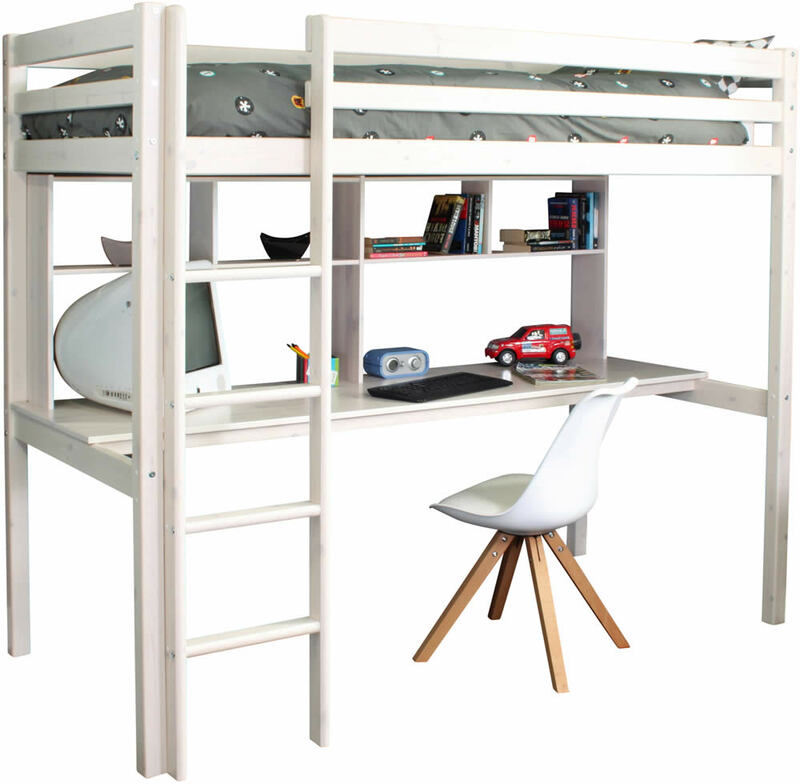 The Thuka Hit 10 high sleeper bed in a whitewash finish is made from good quality Scandinavian pine and features a full width under bed desk, with desk top shelving for storage. 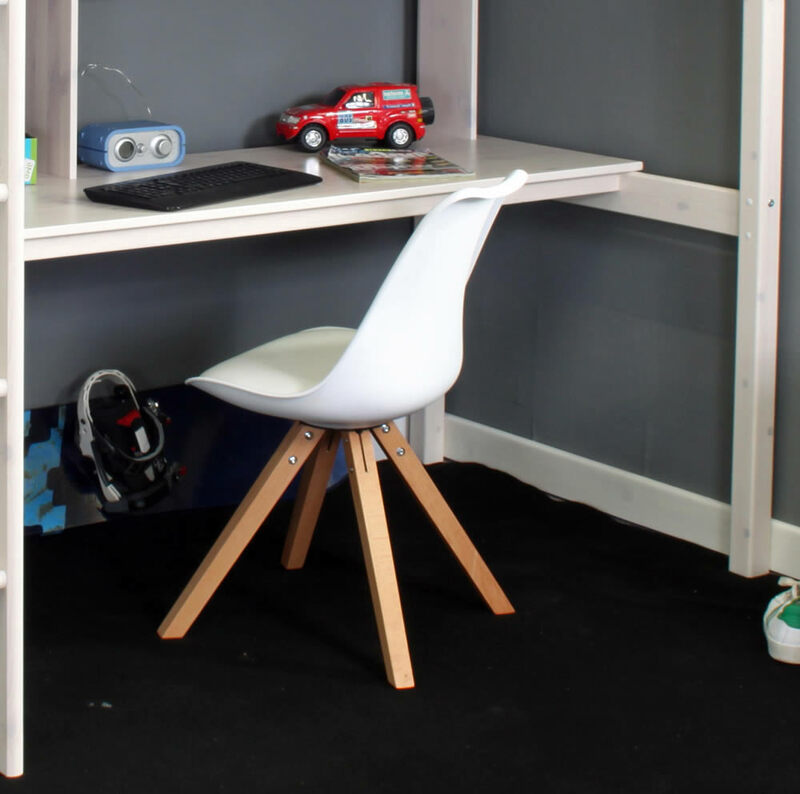 The large desk offers ample space for setting up media devices and a study area whilst offering over head reachable shelving. 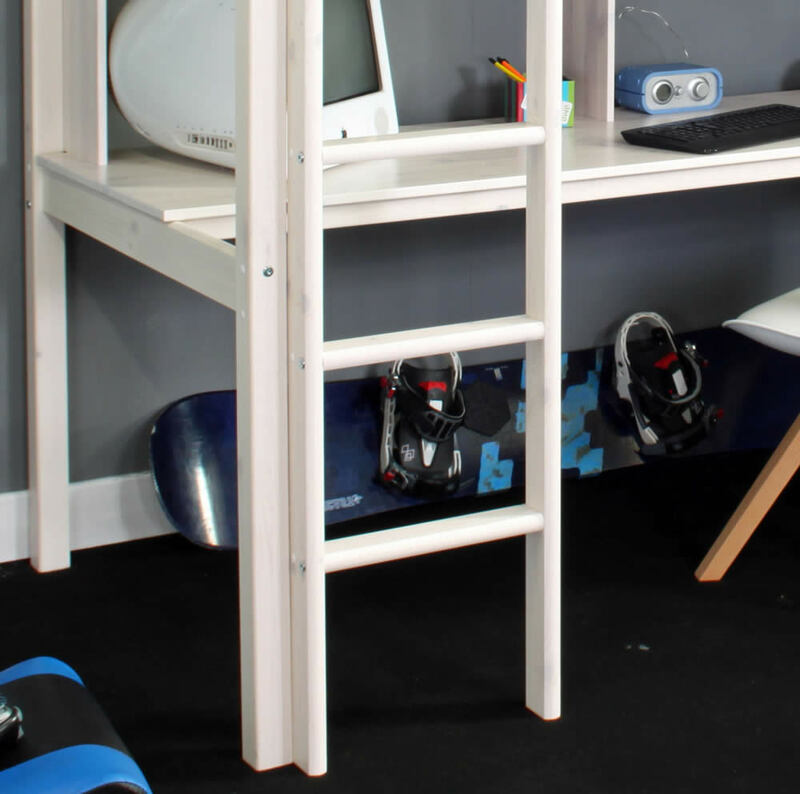 For access to the high sleeper raised bed the Hit comes with a four step ladder that can be positioned to the left or right side of the bed frame.